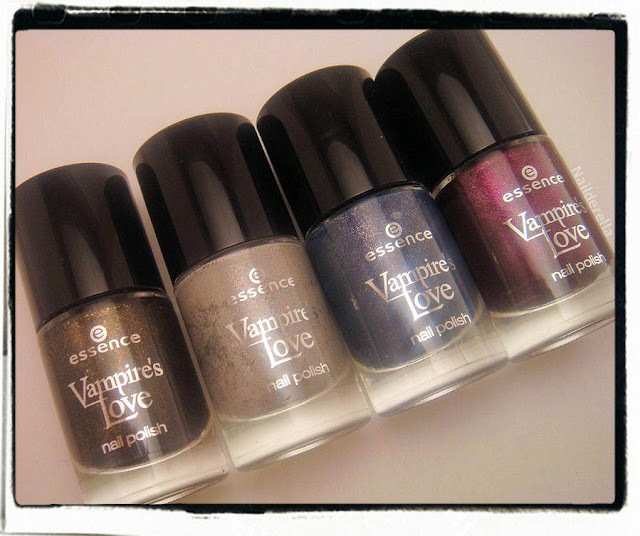 At last I'm posting the swatches of Essence Trend Edition for November 2011 called "Vampire's Love". L-R: 01 Gold Old Buffy, 04 The Dawn Is Broken, 02, Into The Dark, 03 True Love. This edition consists of 5 nails polishes but I bought 4 because the other one didn't cry "take me, take me". The polish I won't present here is called "05 Hunt Me If You can" and is a black polish. So let's start with 01 Gold Old Buffy. 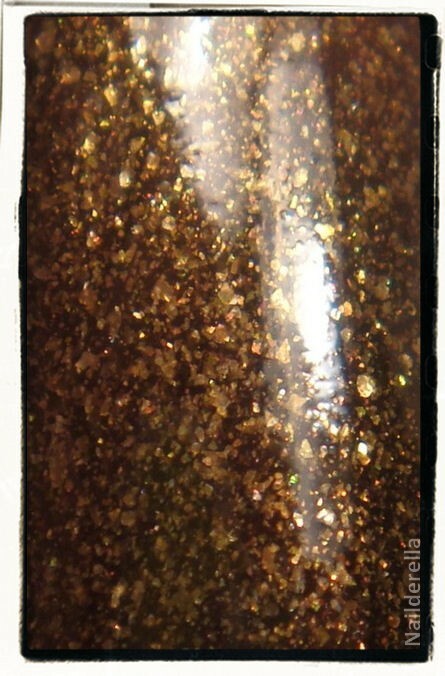 Gold Old Buffy is a dark base polish packed with a multitude of small gold flecks. It's a bit difficult to tell the real color of the base. I can't really say if it's black, dark brown or a kind of muddy green. 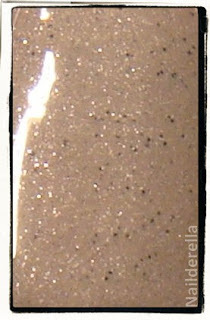 However the overall impression is a dark brown with greenish undertones. Very beautiful IMO and very unique! Application was flawless. The polish is quite opaque. 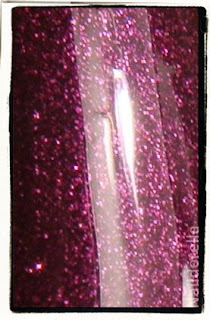 I used here 2 coats as for all the other polishes of this collection. The second one is 04 The Down Is Broken. I must admit that The Down Is Broken is my favorite polish from this collection...yeah, it comes really close to Gold Old Buffy that I also love! Again, application here was very nice. The polish is really opaque. 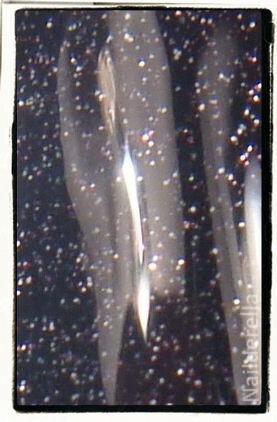 Depending on how you work you can reach full opacity in one coat but 2 are preferable. Now let's call on the scene 02 Into The Dark. 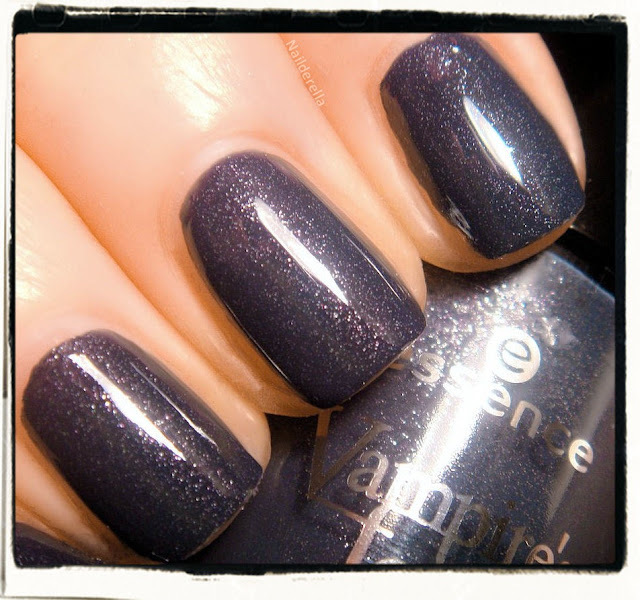 Into The Dark is a greyish dark blue polish with a lot of very fine silver particles. Again, it's totally unique to my stash. 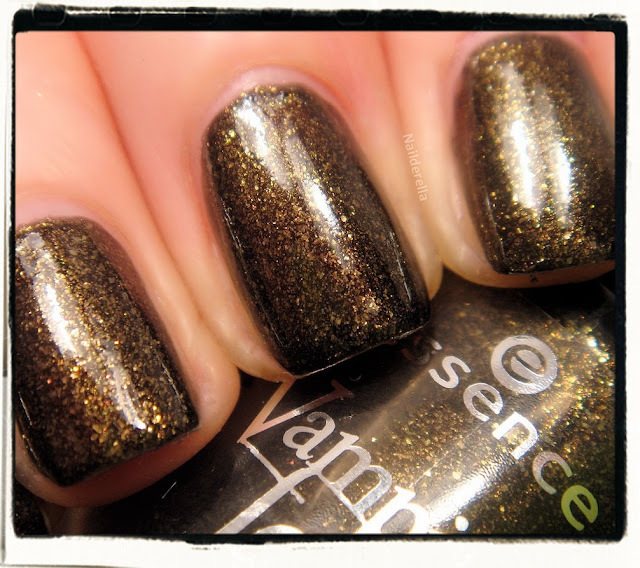 Very beautiful polish, very deep, very mysterious. Application was also flawless and it's nicely opaque in 2 coats. Finally comes 03 True Love. L-R: True Love, True Love, Zoya Yasmeen. Down-Up: True Love, True Love, Zoya Yasmeen. True Love is the last one from this collection. 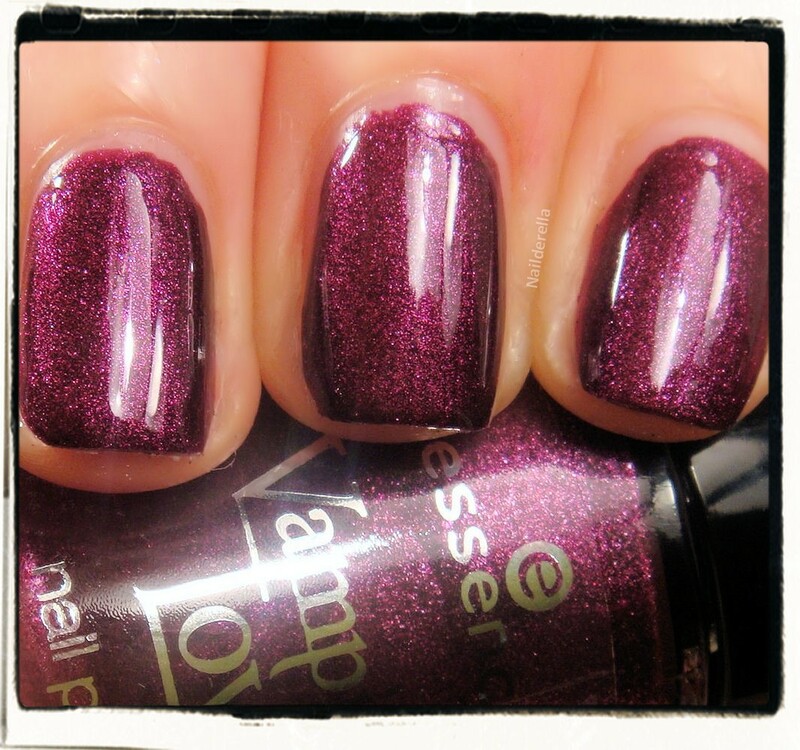 It's a very deep and warm cherry purple (if that makes sense :p ) with a very nice shimmer. It nearly seems to glow by itself. 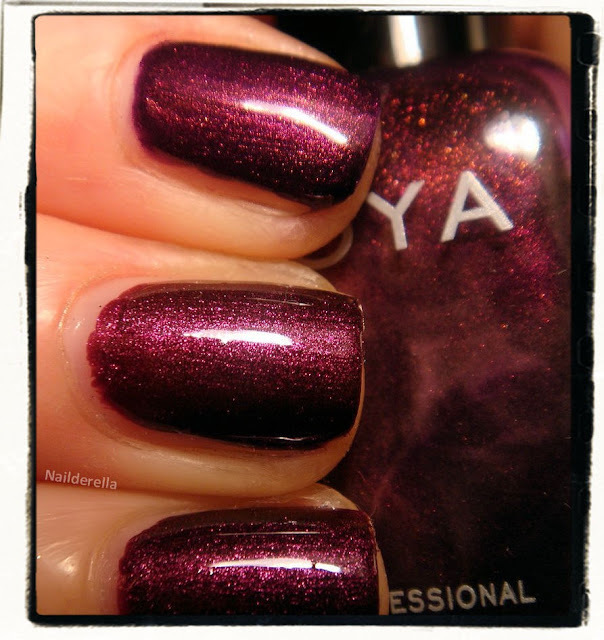 It's a very pretty polish but I thought it might be a dupe for Zoya Yasmeen so I did a comparison. Both of them belong to the same family of purples but Yasmeen has more pink in it and also has a gold shimmer that True Love doesn't have. Both are quite close but not dupes. Also True Love is much more opaque than Yasmeen. True Love is nearly opaque in one coat but I did two to make it look perfect while Yasmeen is rather sheer, you need 3 coats to reach opacity. So even if I've got the impression that True Love is not totally unique I think that finally it is. 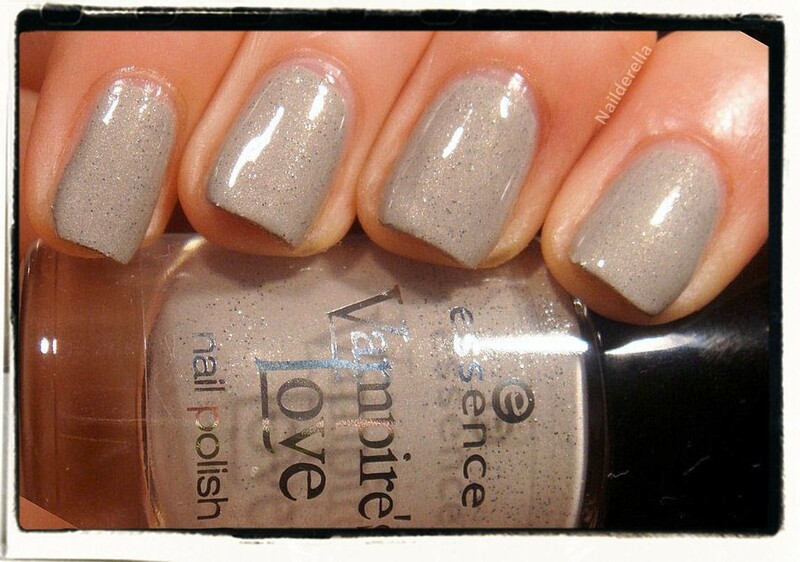 But you can find some polishes that are quite close to it. Final verdict: I must admit I'm more and more impressed by Essence TE collections. I really love all the polishes I presented here. If I had to chose a favorite, it would be The Down Is Broken because I'm a sucker for grey polishes and this one is totally unique! I also love Gold Old Buffy because it's also totally unique and the gold flecks in it make it really interesting. 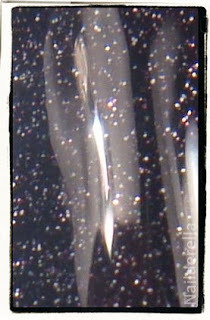 Into The Dark is also unique and original with its dense and fine silver glitters! I really love it! And finally True Love is more common but super pretty. Great job, Essence! This is my favorite Essence Collection so far!